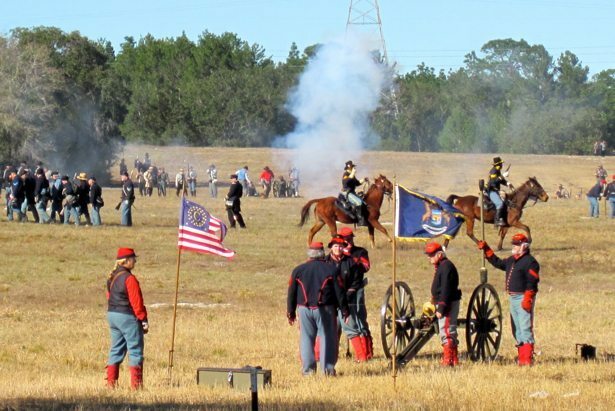 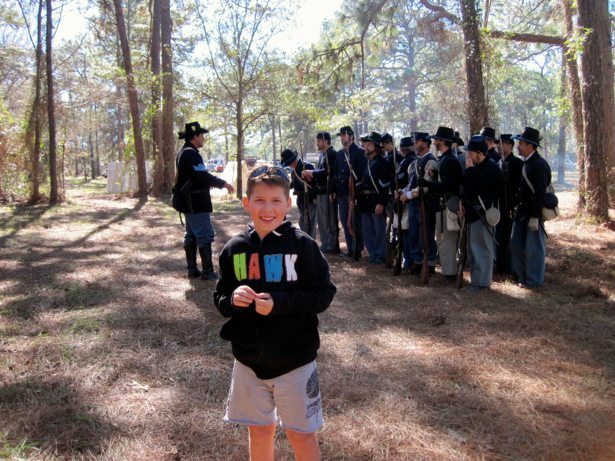 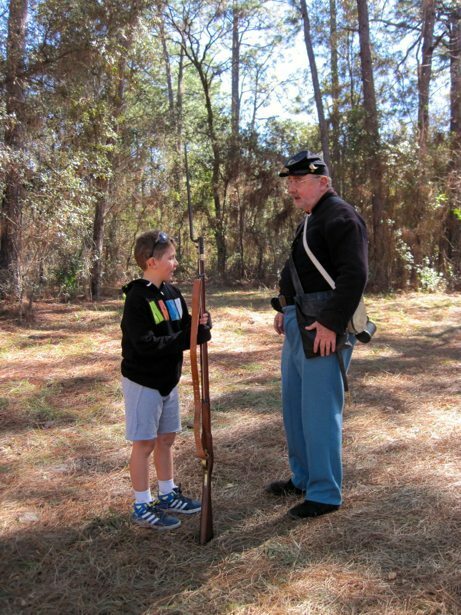 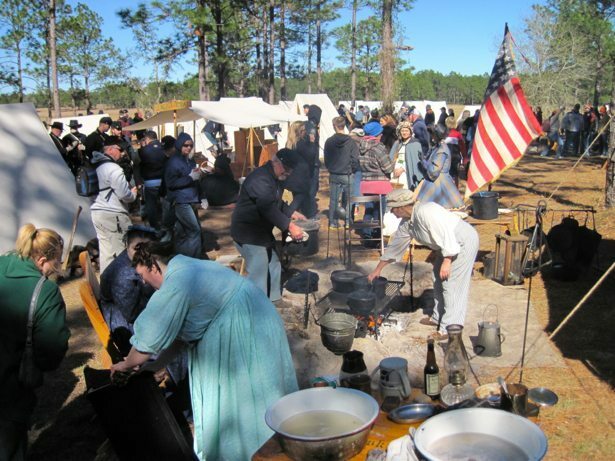 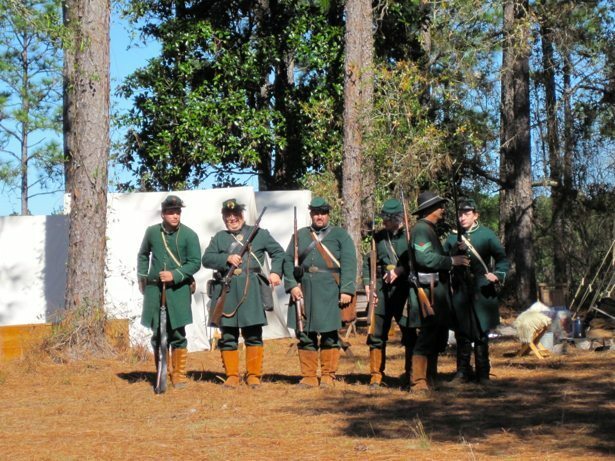 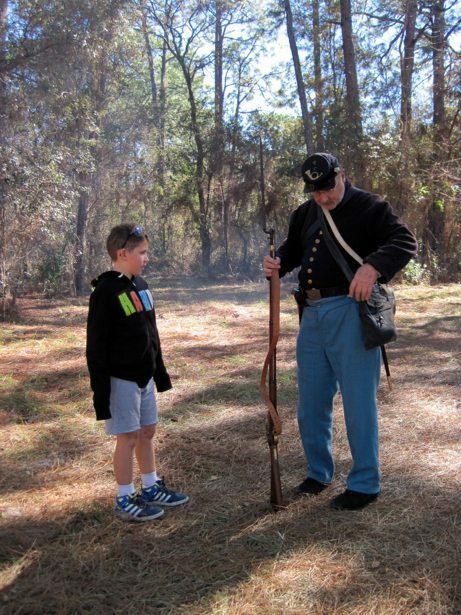 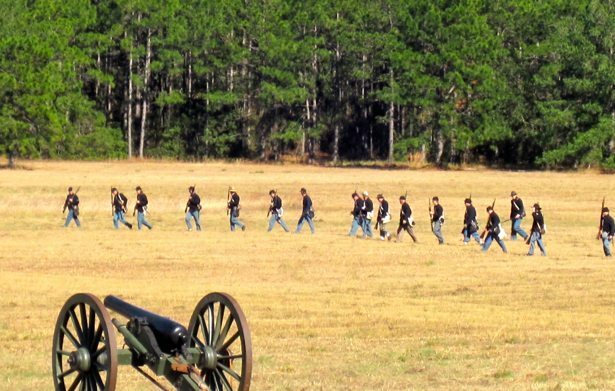 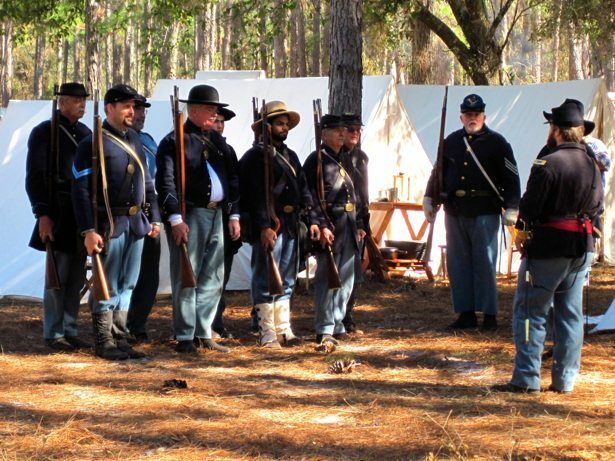 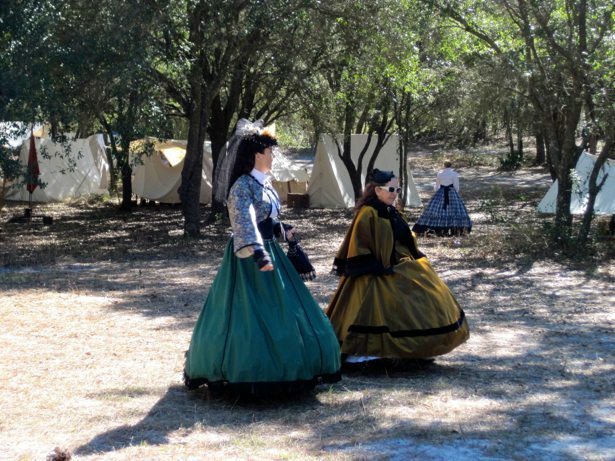 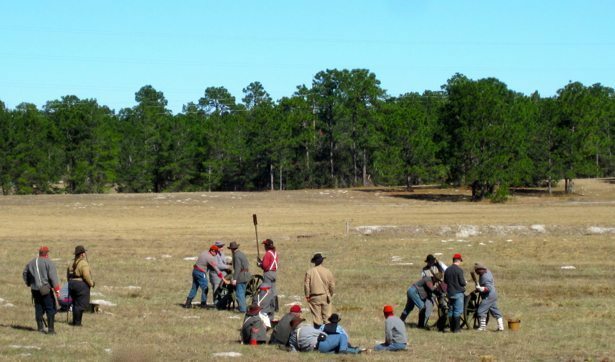 It was serendipity when we learned that there was a civil war re-enactment in Brooksville, just down the road from Grandma Liz’s house. 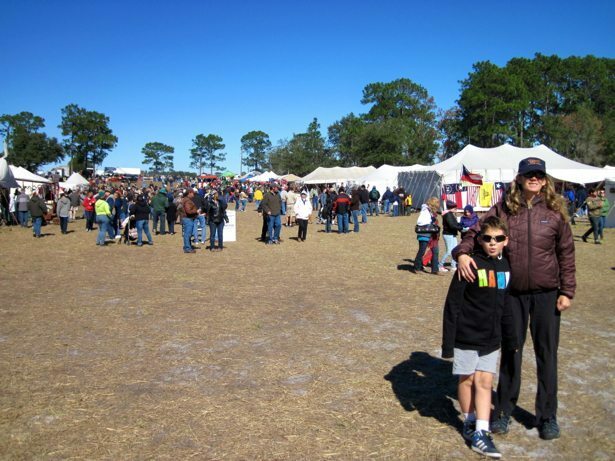 It was a good enough reason to head back down to Brooksville to visit for a few days to catch some warmer weather. 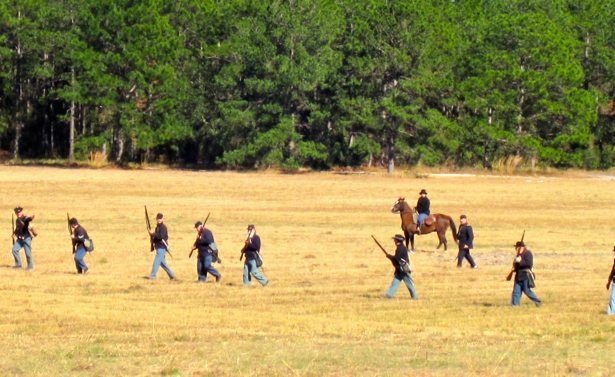 It is the 150th Anniversary of the Civil War and this seemed to be quite a large re-enactment. 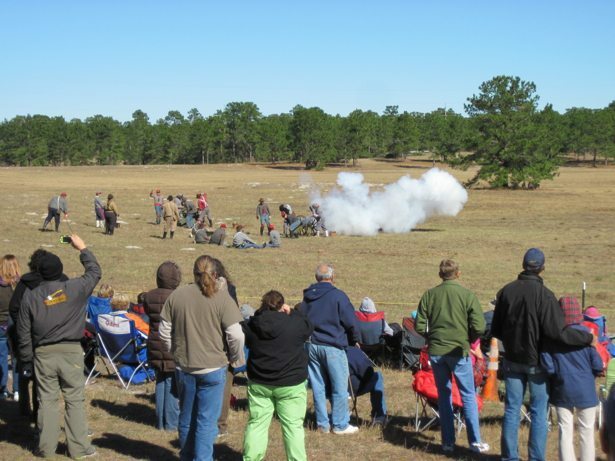 We got there late morning, just in time to catch the cannon shooting contest (yep – 2 cannon’s aiming at targets!). 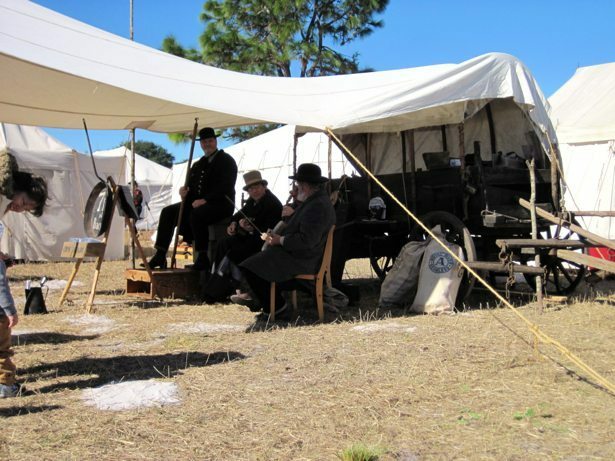 We enjoyed wandering the rows of vendor tents and checking out the period clothing, the weaponry and all the miscellaneous things that go with life during the civil war times. 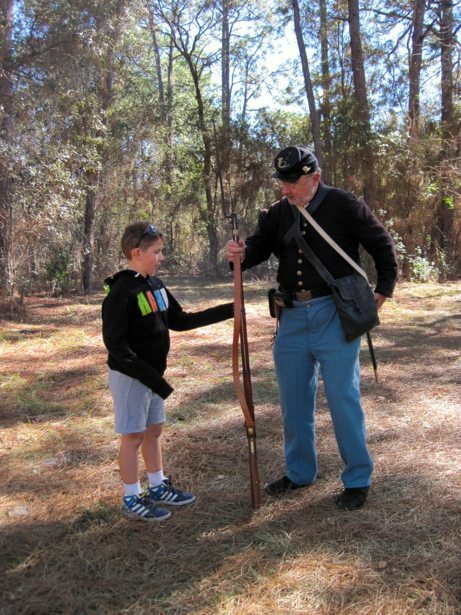 We really enjoyed being able to wander through the Union and Confederate camps and get a real sense of what life was like during the civil war. 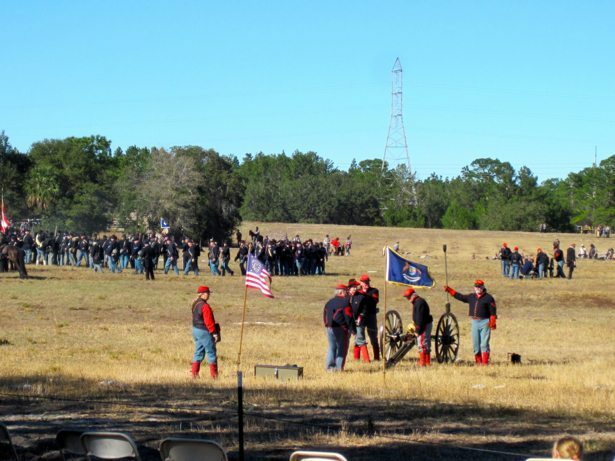 We stayed for an hour watching the battle. 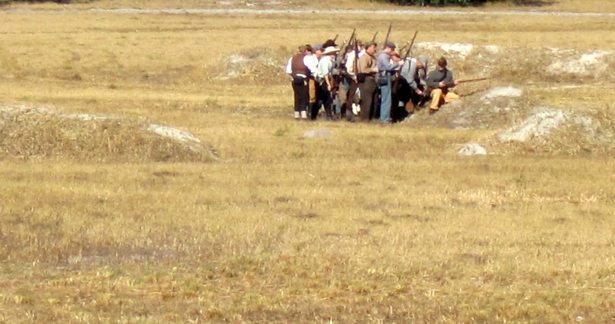 Although it is “scripted” the actual decisions on the field are real-time decisions made by the Generals. 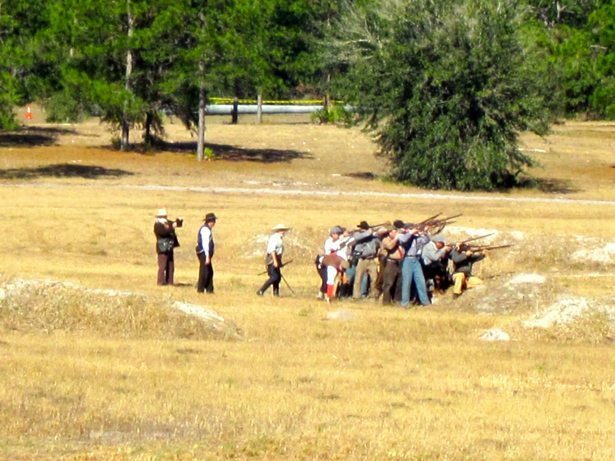 It was definitely interesting to watch, although we were all surprised at how long it took for some of the soldiers to start to die with all the shooting that was going on!